Up to 60mm. 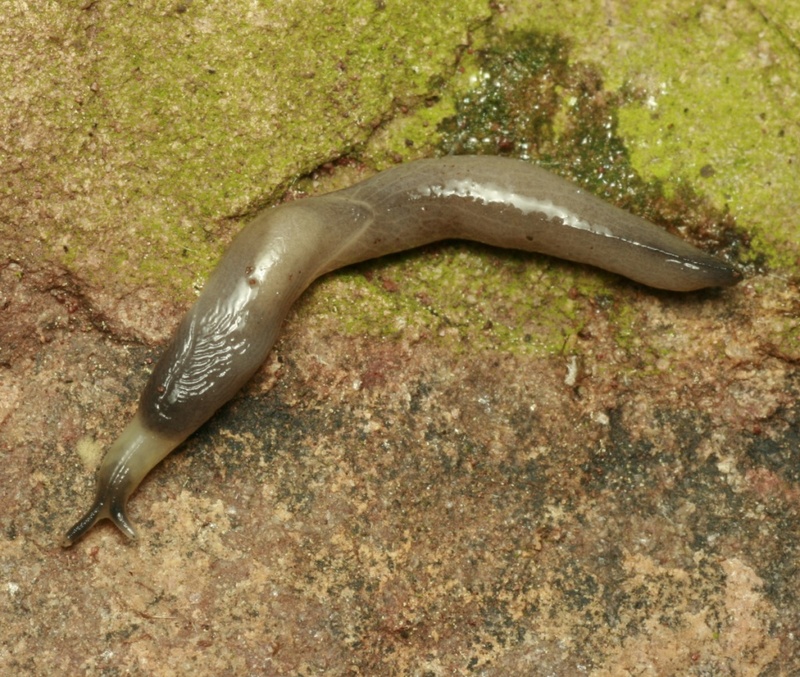 Boettgerilla pallens is very narrow and slender slug, almost worm-like and sharply keeled. The colour may be pale grey or brown or sometimes with a bluish tint. The head and keel is slightly darker. The mantle is pointed at its posterior end and equipped with fine concentric grooves. Sole is pale yellow. Mucus is colourless. Juveniles are yellowish to dirty white. The width is up to 3 mm. Inhabits a very wide range of habitats, including gardens, grassland, coniferous and deciduous woodland. Although it may often been found under logs and stones, it is predominantly subterranean, adapted to moving through earthworm burrows and similar spaces in soil, 2 to 20 cm (maximum up to 60 cm) below surface. Adults survive egg-laying but die shortly afterwards. Juveniles hatch from October to December in Britain. Widespread over much of Britain. 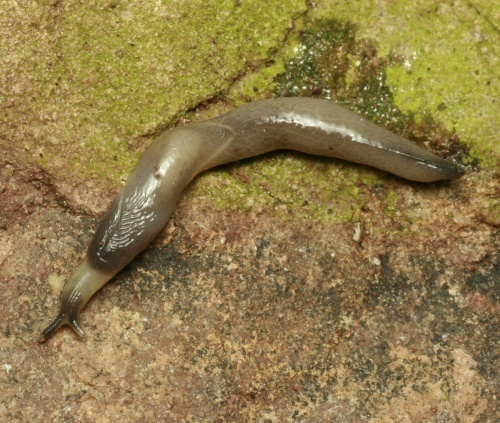 There are very few records in Leicestershire and Rutland though, like most slugs, it is probably under-recorded.